Guinea worms are thin, thread-like parasites. Inside the human body they can grow up to 3 feet long (one meter) before emerging through the skin. 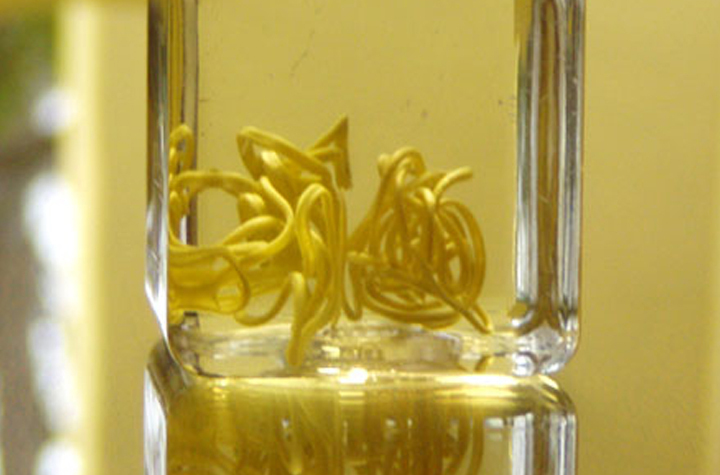 “GUINEA WORM SPECIMEN,” The Global Health Chronicles, accessed April 20, 2019, https://globalhealthchronicles.org/items/show/4917.